My Promo has come up with the recent best kind of reusable coffee cups for coffee lovers. The fine features of these cups are: they are organic, biodegradable,reusable and custom printable cups. 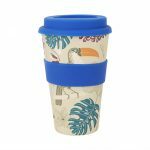 Bamboo Reusable coffee cups are fabricated from rugged BPA free, food grade and dishwasher safe material. With 400ml of capacity, it contains a heat resistant silicone band and a clip-on lid to save the heat of your coffee and other hot liquid. My Promo has brought Reusable Bamboo Coffee Cups with the additional customizable feature. The cup’s wall can be fully customized with any of the prints, logos, or designs as needed. 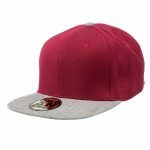 The silicone band has variety of colors where the required logos and brand names can be printed which is beneficial for your business promotion. Order your Reusable Bamboo Coffee Cups now at My Promo store. Biodegradable: With no doubt, bamboo cups are organic and comes to good health benefits in comparison to plastic cups. Reusable: It saves money since the cups are reusable and you don’t have to dispose it after a use. Smart. Custom Printable:The cups can be customized with any prints you want. Enjoy your cup of tea and coffee with your favourite prints, color or quotes. Promotional: Promote your business with these Bamboo Reusable Coffee Cups. Print your business logo and name on the cups, use them as a corporate gifts, gift them as a Gift on Purchase to your customers. 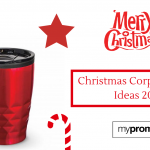 Because the cups are made from organic materials, it will be a relevant gift to your customers or other business partners, and also a perfect corporate gift to your employee. Let your employee enjoy their work with every sip of their coffee on their favourite color and printed cups. When employees are happy, then the work automatically becomes happy (know what I mean).